This pain most often develops after a laminectomy procedure. This is the removal of bone at the rear of your vertebrae. The procedure is done to relieve pressure on your spinal nerves. 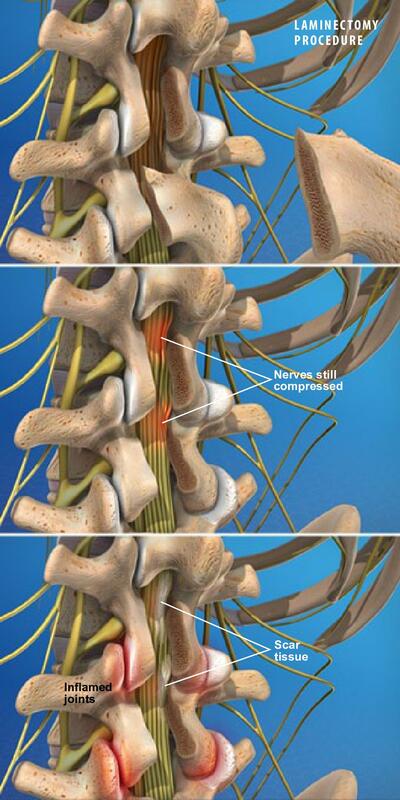 But after a laminectomy, bone or soft tissue may still press on these nerves. Scar tissue may form. And spinal joints may be irritated and inflamed. Pain from any of these issues may be called “post-laminectomy syndrome”.